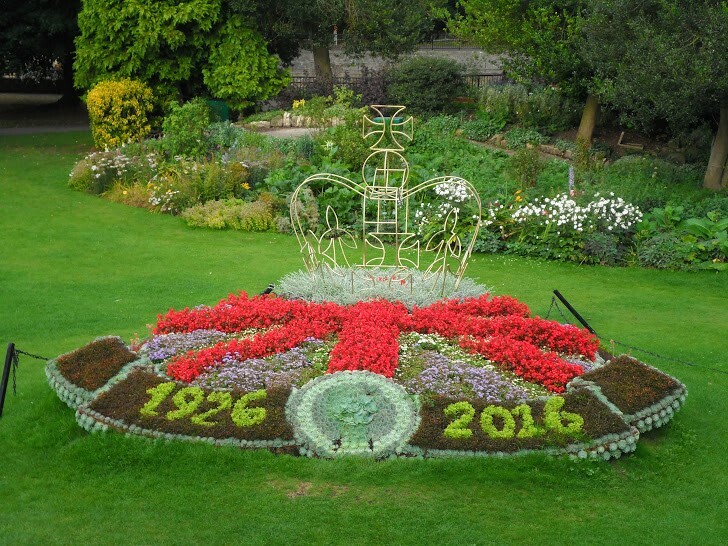 During a recent trip “across the pond” to England, I witnessed some of the historical engineering roots that ground the current work of Environmental Design Group, and have continued to positively impact communities for centuries. 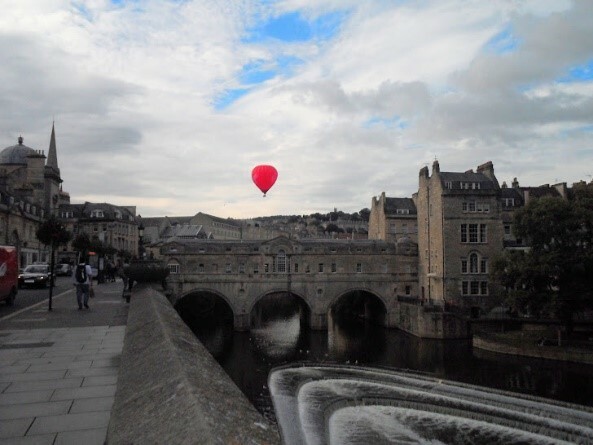 From Heathrow Airport, we took a train to the beautiful city of Bath, a World Heritage Site with one of the best examples of a Roman bath complex. Talk about water resource management and environmental services! 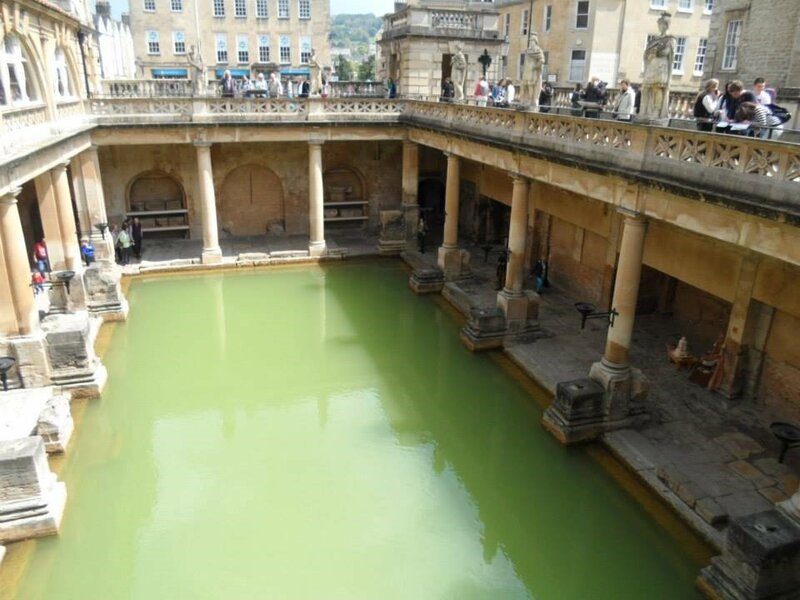 As the Romans advanced west in England 2,000 years ago, they discovered Bath’s natural hot spring and built a reservoir to control its flow for their elaborate system of baths. Roman engineers also built roads and designed and monitored aqueducts that carried fresh water to the cities and homes of the wealthy, utilizing underground pipes and sewage systems. The warm, mineral-rich waters at Bath were said to have healing powers, and many traveled from all over the Roman Empire to “take the waters.” The site is now a museum with a modern spa next door, where we did as the Romans did and enjoyed a therapeutic soak in the rooftop pool. 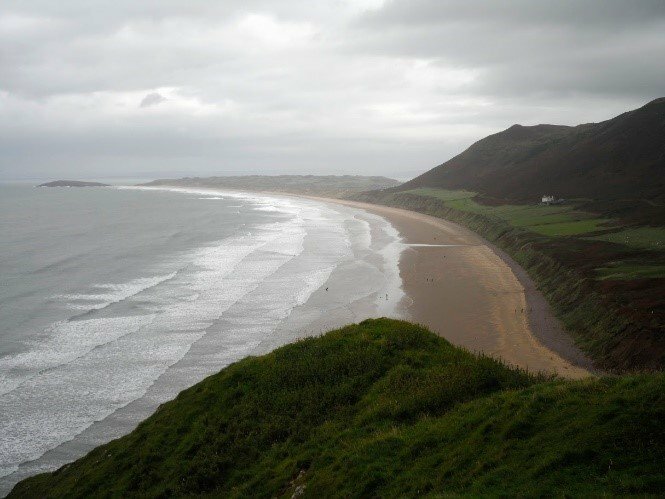 Our train pass took us as far as Swansea, Wales, where we hopped a bus to the Gower Peninsula, designated as the UK’s first Area of Outstanding Natural Beauty. Surrounded by the Bristol Sea and Atlantic Ocean, the Gower is a haven for some of the richest wildlife and varied habitats in Wales and the rest of the UK. The wild moors with grazing sheep, limestone cliffs and Rhossili Bay Beach, along with very brisk winds, made for literally breathtaking views. We joined the locals at the pub for a pint to wait out the storm that rolled in. Our travels involved multi-modal transportation including air, public transit (train, subway aka “The Tube” and bus), boat, private cab, and of course, lots of walking (and looking right instead of left for oncoming traffic)! 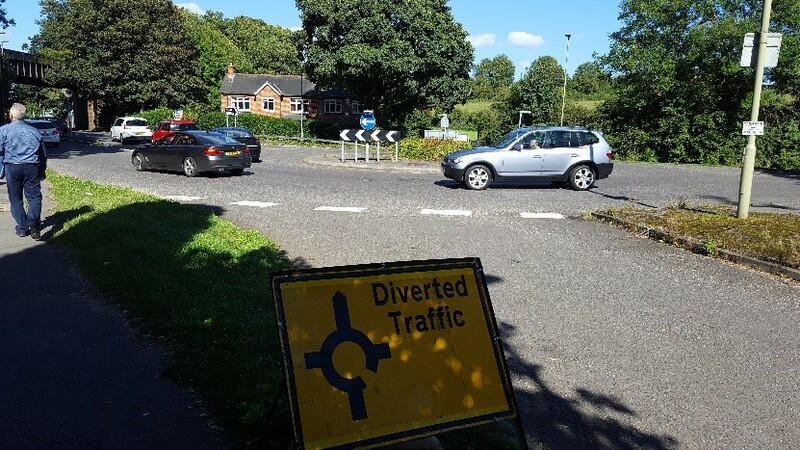 England’s transportation network is one of the best in the world, and we even came across a “reverse” traffic roundabout in Alton during our visit to Jane Austen’s House Museum. During our sightseeing in London, we were impressed by the melding of historic and modern architecture with green space, as we walked the Thames Path, a 184-mile national trail along the River Thames, and visited St. James, Hyde and Kensington Royal Parks and Kew Botanical Gardens, with the world’s largest and most diverse collection of living plants. Early city planners definitely realized the importance of designing community gathering places in beautiful, natural settings and sustaining London’s more than 8,000 trees. Ten days and 500+ photographs later, I returned to Ohio with an even greater appreciation and respect for my associates and the history-making work they do. In our own way, we’re working to make a lasting impact by designing trails, roadways, and rain gardens to help preserve ecology and enhance Northeast Ohio. Thank you for this awesome blog. I would love to know more about the history of environmental concerns as well as new ideas.